Well it took long enough... After several months, I have finally finished the Miragliano Union. 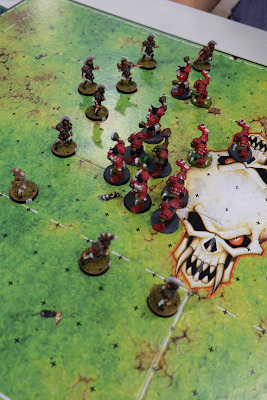 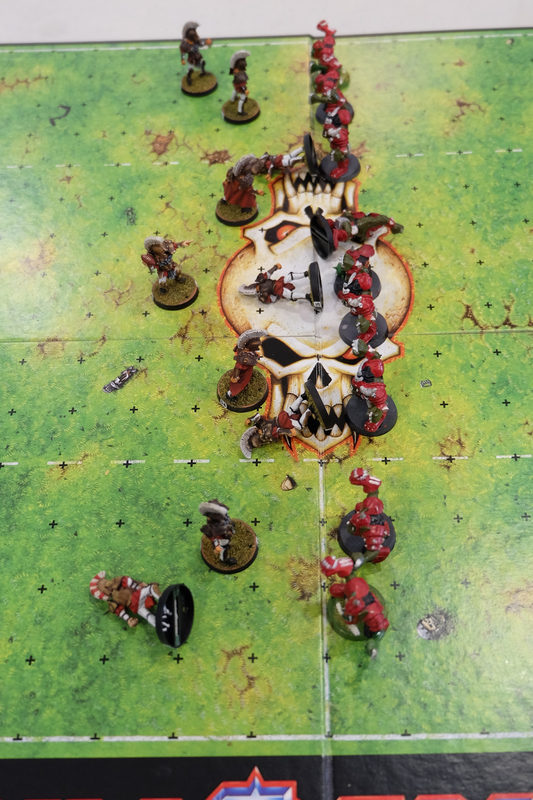 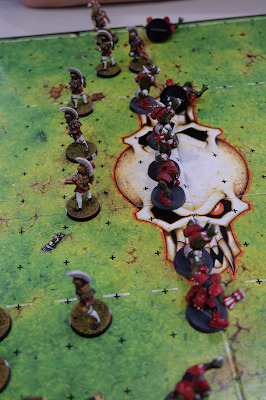 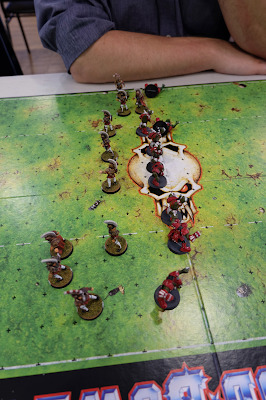 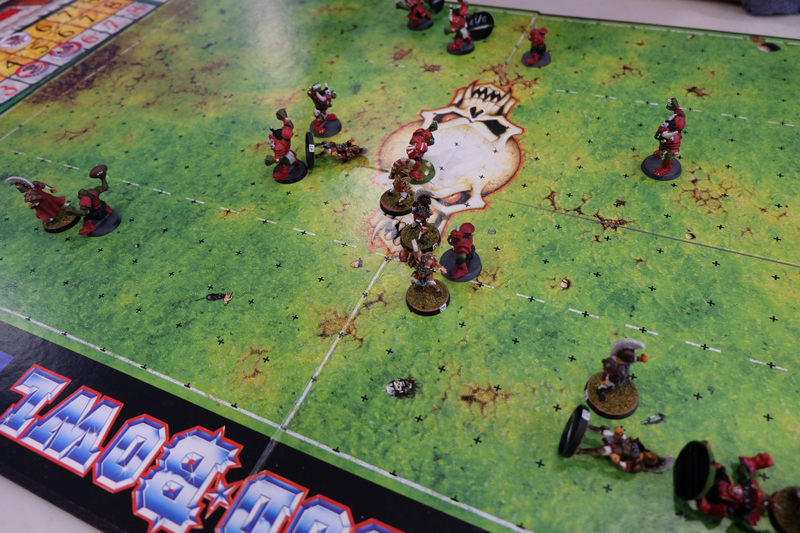 They made their debut on the field of battle last night, stalling an Orc team to a 1-1 draw and training my Thrower to Hail Mary Pass early in the season. 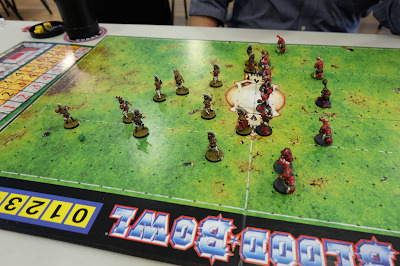 Not the most tactically sound skill but I love the idea of being able to get the ball a long way, fast. 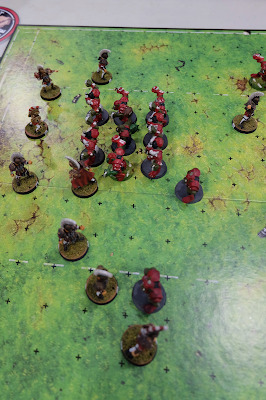 Not just to get it to a catcher down field but also to get the ball out to prevent teams bearing down on me from scoring. We will see how it plays out. 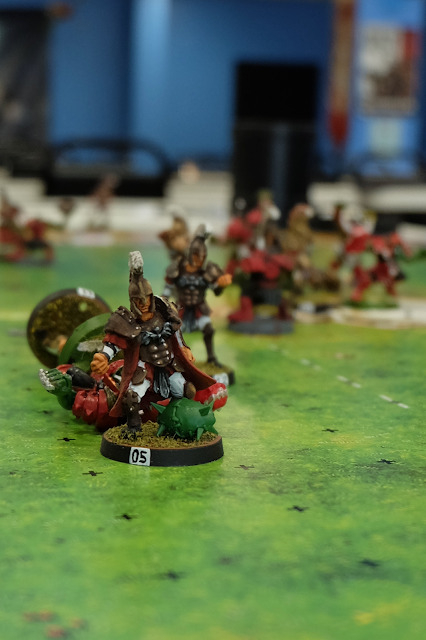 That's right... it was a pitch invasion that saw the fans apparently a lot less happy with the Elves than the Orcs. I blame the unexpectedly large fan turn out for WAAAGH-Tang Clan.